These days we spend so much time on our phones, tablets, PCs that it's becoming a bit of an addition for most people. Are you constantly checking on your phone every few minutes...do you check your phone before bed, first thing when you wake up and even in the middle of the night if you wake up for a pee....if it's yes then you may want to think about doing a digital detox once a week. 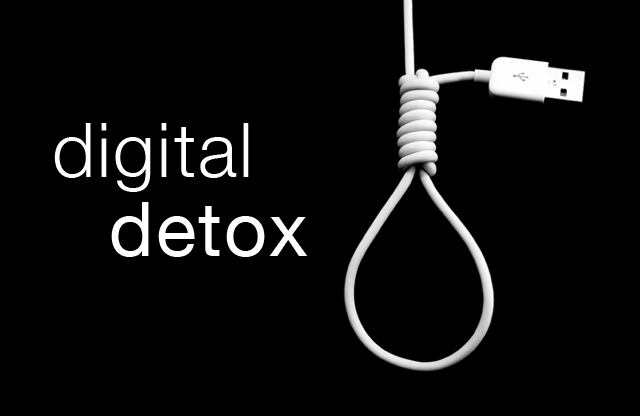 So what is Digital Detox? I think the first step is choosing a feasible length of time and actually sticking to it to ensure you are successful. You need to try and find the balance between being realistic and challenging yourself. So a whole day of not checking your phone is not realistic and it's probably easier to take breaks in the evening / weekends. What ever you decide it needs to really be long enough to really disconnect so you can unwind. What helps is taking time out to think about your e-life and what it will actually mean to turn it off! For example do you just want to cut back on social media twitter / facebook because you spend the most time on those or does it include TV if you spend a lot of evenings just sat in front of the sofa. If you have a work mobile do you turn off work emails completely and just check personal emails. I think it's good to analyse your own situation and decide whats best for you. For me personally its cutting out mobile / ipad. Planning ahead is always good especially for outdoor activities and it can be as simple as walking the dog, picnic or even going out for a run. Being outdoors getting down with nature will make you happier, calmer and it will help you get things off your mind. If you can afford to getting out of town on a "mini break" will be even better. Schedule in seeing family friends at least once a week, it doesn't have to be expensive it can be a simple as having a coffee out or inviting friends over for tea / cake. Go back to basics of playing board games. Do you need a digital detox and will you be giving this a go? Agree on a digital detox, but I only seem to be able to do this whilst on holiday! Way too much social media / internet these days...even our parents generation are getting in on it!